Having trouble finding BB creams and CC creams to match your darker skin tone? Here are eight of our tried-and-true favorites up to the task. When it's incredibly hot outside, the last thing on your mind is wearing full-coverage foundation. While they may leave your face looking flawless, they typically feel too heavy during summer, no matter your skin type. This is where the magic of BB creams and CC creams comes in. Unlike heavy foundations, BB creams and CC creams — beauty staples in Korea, now equally popular in the West — are incredibly lightweight and you don't need to use much for an even complexion. They are essentially moisturizers with a slight tint and typically have sun protection as well (but you shouldn't forget to wear your regular sunscreen). 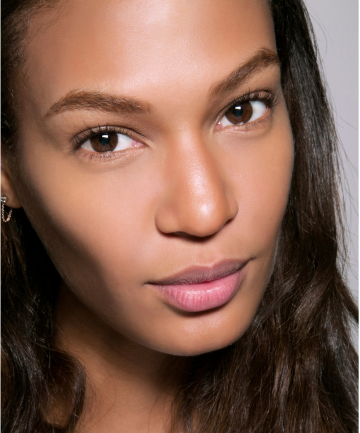 If you like your makeup to have some skin-improving benefits, opt for a BB cream. But if you're looking to color correct, a CC cream is your best bet. Despite their numerous benefits, a lot of BB creams and CC creams aren't made in shades suitable for women of color with darker complexions, which can be incredibly frustrating because everyone should have the same options available to them. On the brighter side, some brands have made a point to carry some for their darker-complected customers. Ahead, we've compiled our tried-and-true favorite CC creams and BB creams for dark skin tones.